A screening of the documentary, Maineland. 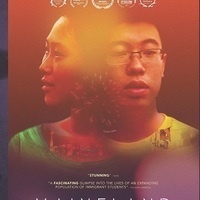 Filmed over three years in China and the U.S., MAINELAND is a multi-layered coming-of-age tale that follows two affluent and cosmopolitan teenagers as they settle into a boarding school in blue-collar rural Maine. Directed by Miao Wang (herself a former Chinese student in the U.S.), the film follows bubbly, fun-loving Stella and introspective Harry as they seek a Western-style education, escape from the dreaded Chinese college entrance exam, and the promise of a Hollywood-style U.S. high school experience. The screening will be followed by a panel discussion featuring U of R students from China discussing their experiences studying and living in Rochester. Hosted by John Osburg, associate professor, Department of Anthropology.